The photo above was taken as we strolled through our home town. 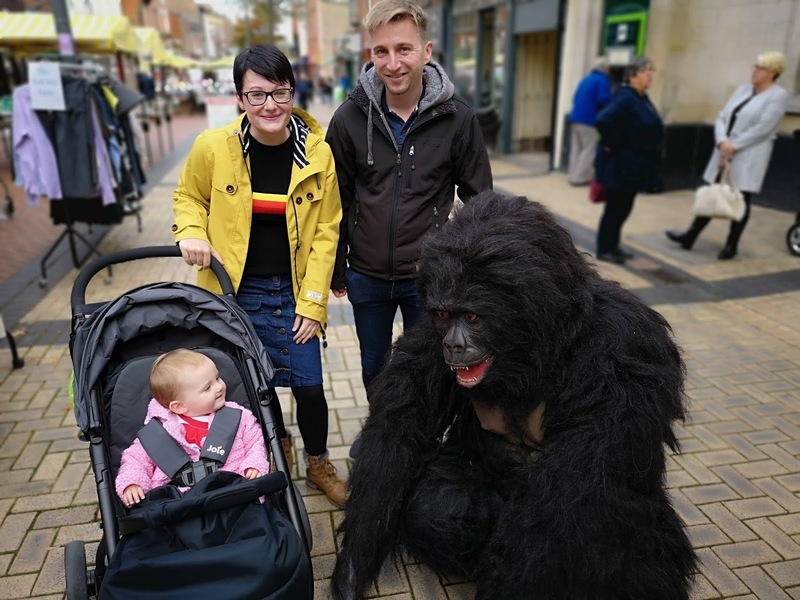 The gorilla was promoting a local costume and character hire company and he was making quite an impression! There were lots of children (and adults!) that were afraid of this very lifelike beast but Iris astounded me with how keen she was to get near the gorilla, squealing and laughing and reaching out for a high 5! She amazes me with her bravery, she is absolutely fearless. October is usually one of my favourite months, I love the cold, crisp weather and the dark nights spent snuggled on cosy sofas but this particular October has been a flop and not just because the weathers been so mild! We've been having a bit of trouble with our house move and have been living in limbo for a while now. We had an offer accepted in May and there's still no talk of a completion date! We've been living out of boxes for weeks and constantly on edge, thinking 'anytime now' but this month it got confirmed that we won't be moving until the middle of November at the very earliest. I'm not going to lie, I cried when they told me. I am really struggling with the house being so 'upside down' and having to battle through boxes to reach anything. On the plus side, at least the end is nigh. We started the month with a demon child that refused to sleep but thankfully that phase has passed and she's returned to her usual happy, smiley self. We've all been off it this month and have never been to the Doctors so much. Between the three of us we've had the flu, tonsillitis, ear infections, coughs, colds and a minor case of hand, foot and mouth. I'll be glad to see the back of this month, hopefully i'll be writing next months post from the comfort of my happy and healthy new home! 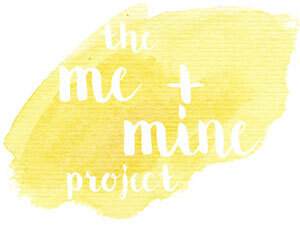 This post is part of Dear Beautiful's Me and Mine Blog Link Up.